Once you’ve locked down your bug out location, you need to figure out how to establish this place. That’s where homestead and survival come together. You want to come up with a plan to develop your new found property into a SHTF safe haven. A self-reliant homestead survival home, where your family can thrive. Establishing your bug out homestead will be a difficult topic to cover. There are so many homestead survival possibilities. There just isn’t one right way to build up your homestead survival establishment. Note: I wrote this article with the idea of a prolonged or permanent bug out. If you’re looking for tips on how to bug out for a short time and then return home. Or continuously stay on the move…then this article might not be for you. If you plan to bug out to a remote piece of public land, then building a home or cabin ahead of time is not realistic. Laws become the problem; you don’t own it so you can’t build on it. If you have skills and tools you’ll be able to build a simple cabin after SHTF (when laws no longer matter). But this won’t be possible ahead of time. 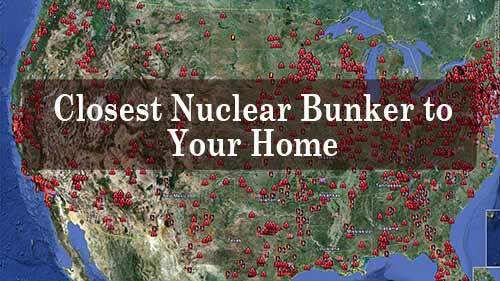 Homes, bunkers, and cabins are non-mobile options. They are great if you have no intention of moving and can build them now before SHTF. If your non-mobile bug out location gets attacked, you’ll want to defend it by any means necessary. If you plan to set up a tent, then you’re either going to carry your supplies in an attempt to live heavily off the land. In this case, you’ll need to make several trips to leave a lot of cached resources each time you visit. If you plan to do this, you can buy some plastic barrels with good seals and bury them in the ground waiting for SHTF. I’m going to assume that you found a property with plentiful water. One with a natural source of water nearby (per my essential quality #2 on finding a good bug out location). Whether it’s a lake, pond, river, creek does not matter.rought. Otherwise, you’ll need to put a lot of thought and effort into your water storage system. So far we’ve covered your shelter options and talked about your water resources. Now it’s time to figure out where the best place is to set up your shelter. The final location is less critical if your shelter is mobile (tents, campers, RV’s). Why? Because you can move it at any time. Yet, if your plan includes a home, cabin, or bunker you’ll need to think it through carefully. Before building your shelter, you’ll want to create a master site plan for your land. What’s a “master site plan”? Where is the best setup for your base camp from a concealment and defense standpoint? How close can you set up your shelter from your water resource? Where’s the best place for an extensive garden? Locate your shelter as close to your water source as you can without putting it at high risk of flooding. An exception to this would be if that area jeopardizes your concealment efforts. If the water on your property is right next to a gravel road, keep your shelter as far away from the road as possible. Even if it moves it further away from the water. The reason it’s best to stay close to your water source is because hauling water is an absolute chore. A chore you’ll be doing often (unless you’ve set up off-grid electricity with a water pump). The closer you are to the water source the easier this task will be. You’ll also want to try and locate your garden as close to the water source. Assume you’ll need to water your garden often by hand. This means hauling even more water. But you can’t expect a garden to perform at its best if it doesn’t get enough sunlight or the soil is untenable. So if getting good sun is an issue, you might be able to strategically remove a few trees. This will help your garden get the sunlight it needs. Plus, you can chop up these trees for firewood. If you can avoid unwanted attention, then you’ll be less likely to have to defend your property. Sure, it might be a major inconvenience to not be next to your water source. But, fighting off bandits every other day would be a much worse inconvenience. Often, the best place for concealment is going to be farthest from the easiest access point. If there is an entrance road, then you’ll want to locate your shelter as far back on the property as possible. If there is no entrance road, try to figure out which direction people would access your property. Then try to establish your shelter as far away from that entrance as possible. If you do this right, you can install basic alarm systems. These will sound anytime someone enters your property. Just we aware that wildlife will also trip these alarms. Your second priority is shelter distance from your water source. Ideally, concealment and your water resource location are complementary to each other. This just might be the most difficult part of your homestead survival plan. Why? Because the skills you need to do this properly are vast. Many of us (myself included) don’t rely solely on our own food systems today to sustain our families. Food manufacturers are dependent on farmers, equipment manufacturers, electricity, trucking companies, and labor workers. If any of these items become compromised so does a food manufacturers ability to produce. At least at current production levels, they produce today. Many of us hunt and even freeze excess meat for future use, but do you hunt enough meat to feed you daily? No. Even if you did hunt enough, do you practice the skills of preserving this meat without a freezer? Do you have a smokehouse and a root cellar? Do you package your meat with copious amounts of salt and check it regularly for signs of spoilage? Do you practice canning your meats? Ok, you get it. It won’t be easy. Now that that’s out of the way, here’s what I recommend you do to prepare for this dire situation. Growing your garden, foraging, preserving, and hunting. You should practice these skills today to help give yourself a nice head start. So when SHTF and life as we know it is over, your new job is to become a full-time homesteading survival expert. For most of us, it would be nearly impossible to do so anyway and still live a normal existence today. You probably have a full-time job and maybe you have kids. How in the world can you find the time to live off only the food you produce? The answer is you probably can’t. Grow a backyard garden. Tend to it regularly and practice growing different fruits and vegetables each season. Buy heirloom seeds and then practice seed saving. Seed saving will help you become independent of needing to buy new seeds each season. Go hunting when hunting seasons are open for small game, large game, and bird. The then take a percentage of the meat and practice making jerky. Package it in salt to see how long you can keep it before it begins to spoil. Forage for fruits, berries, and plants in your local areas. Teach your kids how to identify them, learn what’s edible and what’s not. Learn about edible plants and how to cook them. Add them to your meals occasionally. Identify poisonous plants and become experts at identifying edible vs. deadly plants. If you have your bug out location sorted out, start planting longer-term items such as fruit trees on the land. Perfect these skills a little bit at a time each day. These skills will be a major shortcut in the future when your life depends upon them. You use the internet properly. You have decided to learn all the available knowledge about homesteading survival. You want to speed up your survival and prepping skills tenfold. You do this by visiting the right sites and follow the right methods. You have to assume that the internet will no longer be available after SHTF. So, find these sites today. Subscribe to their email lists. Download, print, and practice all the best skills they have to offer. To be blunt, trying to survive SHTF alone (single person or small family) is going to be near impossible. You need to be able to do some basic bartering and have a support community. You don’t necessarily have to live right next to this group. But you still need a system of barter to get access to basic supplies going forward. Coalitions are also great to go on supply runs. A group heading to an abandoned town to find supplies is safer than an individual. Once resource worth taking a look at is PrepperGroups.com. It looks to be a bit hit or miss with results, but worth a try. Or else you could always post an ad on craigslist to try and put together a local group that way. If you answered yes, then that’s great you’ll have no problems getting to your bug out property fast. With a ton of supplies and gear. You’ll be able to easily leave your establishment to go on supply runs and come back quickly. So there it is – the double-edged sword. The benefits and risks of accessibility. Maybe you can conceal your access entrance with natural debris. Overgrown bushes or downed logs can help significantly. It might be a hassle to move this debris every time you want to enter and leave. But it might be well worth the effort to keep your property hidden. So what are some of the luxuries of setting up a thriving bug out location? Here are a few of the items that can develop a basic bug out establishment. To help turn it into a thriving survival homestead. Unfortunately, each one of these homesteading skills deserves its own blog post. So I won’t be diving into these in detail today – Cop out? Maybe…but now you’ll have to stay tuned for these future posts ;-). For many of you, all these steps might seem overwhelming because it’s not going to be easy. If you want to survive the worst case TEOTWAWKI then you need to roll up your sleeves and begin planning and doing. 1 – Determine where you are going to bug out to Private or Public land. 3 – Decide how elaborate you want your bug out homestead to be. Water resources, food supplies, firewood, gear, etc. Start purchasing an item or two a month. You can start small. Buy a year’s worth of long shelf life food, buy some seeds. In the short-term, what do you have work with already? What food, gear, supplies, and skills do you currently have and are they enough? What food, gear, supplies or skills do you need to get you to a bare minimum of being prepared? Decide what the bare minimum is for you and then start building up to that as quickly as you can. Maybe for you, it’s an upgraded shelter? Maybe you get that cabin built or buy a larger RV. Ok, I know I missed something. There’s just so much to try and cover, hard to pick and choose what to put in this post. I tried to select the most relevant considerations. Yet, if you know of something that should be added to this list, please share what I missed in the comments below. I agree the best situation is to get out now, if at all possible. But for those who, for whatever reason cannot should have a bug out plan to get as far away from LA, New York, Denver or any densely populated areas as fast as possible. For those who have some cash should look around for some bugout land. I would look at older farms that are not financally viable. The grandparents and their parents lived off the farm, but modern techniques made old time farming a money pit. That is progress. A few have gotten into organic farming, or were doing so and it just creeped up on them, others could not make a go of it. The farms should have a home and services in, maybe even a well. The septic system might be able to get working again, so you have a good start. You might have to put up a pole building, bring in a mobile home or the like, but you still wouldn’t have to start from scratch. This is a great idea, If you want to get into organic farming. Most old farms have been consolidated or even planted nut trees(in calif) that are not really a good use of the land and water. You could get started now and be ready for the coming problems. I wish I could. I have seen some old farms in Oregon, that are just too much work for the farmers’ children. Maybe not turnkey, but they could be farmed again, or even used as pasture for livestock.